Aeternity, (symbol AE) has been in circulation since 1st Jun, 2017 and operates without being controlled by a central bank. The virtual currency Aeternity can be mined for profit. It utilizes the Cuckoo Cycle algorithm and the Proof of Work and Proof of Stake (Pow/Pos) consensus. 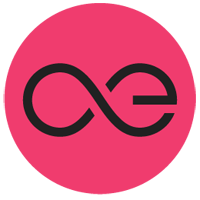 You can estimate the profitability of mining Aeternity using our calculator. There is also a mining calculator widget that you can use on your own site. To stay updated with Aeternity, they can be found on Twitter, Github, Facebook, Reddit and Telegram. Visit our full aeternity mining calculator. We don't have any price charts listed for Aeternity yet, check back soon!